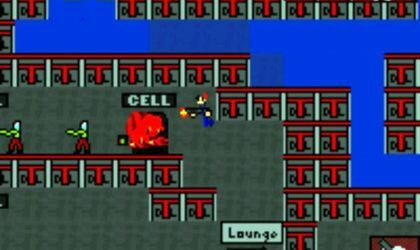 A violent and fast paced game where a killer roams the halls of a dark prison. 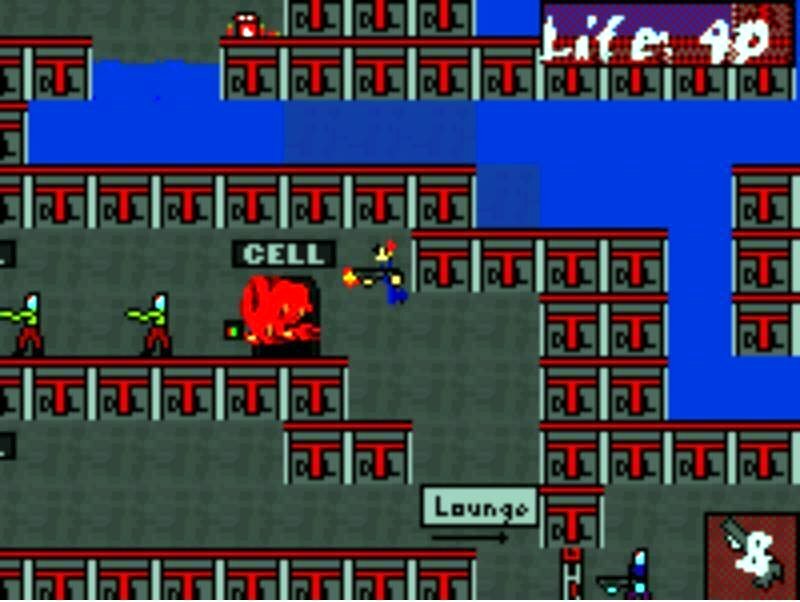 Detoss Law is a game which features so much violence its hard not to like it. Similar to films of the horror genre where a simple nicked artery will have the victim gushing a torrent of blood for a full minute, every explosion, wound or scratch here is an experience in bloodlust. Beginning with the simple instruction “I want you to kill someone,” Detoss busts out of his cell and follows the ambiguous message by blasting anyone with anything he can get. As usual in games of the like, the shotgun is the weapon of choice. With it, any would-be hapless victim is mince meat should they experience the explosive carnage it can deliver. Although the game is viscerally fun to play, it should be noted its not without its share of touchiness. For example, when swimming, be weary of walls as you may become stuck in them. An unexpected bug launched my character completely off the screen, who then fell and died once he left the map space. After this freak occurance, the level re-started as usual, though. The strangeness of that second bug and the easy avoidability of the first make this game a relatively stress free experience and should be easily embraced by anyone with a bit of pent up carnage they feel the need to exercise.